Mr Coulson has extensive experience working in industry and was the CEO of the Victorian Employers Chamber of Commerce and Industry (VECCI) from 2000 to 2007. He has also held a number of other senior roles in industry including Chief of Australian Manufacturer Jacyo Corporation from 2007 to 2012 and was a member of the Victorian Learning and Employment Skills Commission between 2001 and 2004. Internationally experienced university leader and academic, Professor Eeva Leinonen has been selected as Murdoch University’s next vice-chancellor, which has been shaken for more than a year by power struggles and a probe by the West Australian Corruption and Crime Commission..
Dr Michael Spence is the 25th Vice Chancellor of the University of Sydney and takes over as Group of Eight (Go8) Chair for two years from 1 January 2016, succeeding ANU’s Ian Young. Australian born, the son of a high school headmaster (and presumably Mrs Spence), Dr Spence graduated from the University of Sydney with first class honours in English, Italian and law (working “five or six part time jobs” along the way). He then lectured in law at the University and worked for the Australian Copyright Council before moving to the UK to undertake doctoral studies. Engineer, entrepreneur and philanthropist, Dr Alan Finkel, is to be Australia’s new Chief Scientist. He will take over the role once the sitting Chief Scientist, Professor Ian Chubb, finishes his five-year stint in the job on December 31 this year..
Finkel was most recently Chancellor of Monash University, a post he has held since 2008. 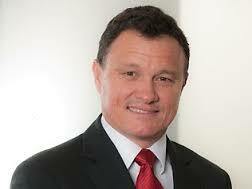 He is also the President of the Australian Academy of Technological Sciences and Engineering (ATSE). Finkel is an outspoken advocate for science awareness and popularisation. He is a patron of the Australian Science Media Centre and has helped launch popular science magazine, Cosmos. He is also an advocate for nuclear power, arguing that “nuclear electricity should be considered as a zero-emissions contributor to the energy mix” in Australia. In the 1980s, he established Axon Instruments, a company which supplies tools for cellular neuroscience and drug discovery which was later bought by a US firm and listed on the Australian Stock Exchange. In stark contrast to the climate-denialist image that plagued the Abbott government, Dr Finkel has publicly advocated for nuclear power and electric cars to help reduce Australia’s carbon emissions in the fight against global warming. 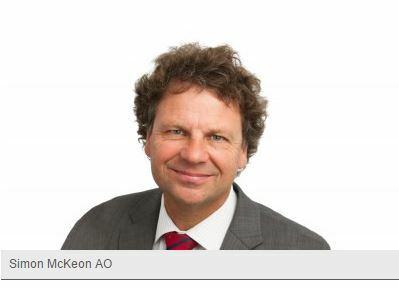 Distinguished businessman and social entrepreneur Simon McKeon AO has been appointed by Monash University Council as the new Chancellor of Monash University. Mr McKeon succeeds Dr Alan Finkel AO, who has served as Chancellor since January 2008. 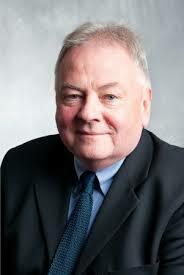 Mr McKeon said he was “humbled and delighted” on hearing the news of his appointment. After studying Law and Commerce at the University of Melbourne, Mr McKeon started his career practicing law before moving into financial services. After a successful 30 years at Macquarie Group, he recently retired from his position as Executive Chairman of Macquarie’s Melbourne office. He has also been involved in a diverse range of organisations including Chair of CSIRO, MS Research Australia and Global Poverty Project Australia and a Director of VisionFund International, World Vision Australia and Red Dust Role Models. He became Chair of AMP in 2014. In 2011, he was recognised as Australian of the Year and is also a current Australia Day Ambassador for the Victorian Government. Professor Stephen Parker AO, vice-chancellor and president of the University of Canberra, will step down on 1 July 2016, after 9 years in the job. Chancellor Tom Calma praised Professor Parker’s visionary guidance and leadership to significantly transform the university into a world-ranked institution and thanked him for his relentless drive to revitalise the campus for the benefit of students, staff and the Canberra community. 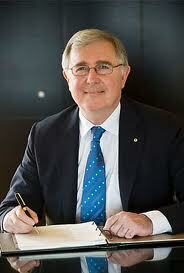 Professor Parker is the fourth vice-chancellor of the University of Canberra. He took up the position on 1 March 2007 and has served two terms. During his tenure, Professor Parker turned an inherited $16 million deficit into a surplus of $5.87 million after adjusting for one-off items in 2014, the third year in a row of positive financial results. 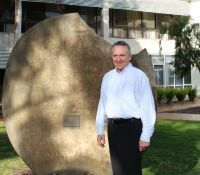 Under Professor Parker’s leadership, the University of Canberra has flourished with record student numbers, research income and publications, as well as a widely-renovated campus. Some of the new developments on campus include state-of-the-art buildings such as the International Microsimulation Centre and the INSPIRE Centre, the Health Hub, the Sporting Commons and new student accommodation, which has more than doubled the number of beds available since 2009. In addition, construction of the University of Canberra Public Hospital, the first sub-acute rehabilitation hospital in the ACT, will commence in 2016. He has laid the ground-work for a major plan of campus growth and improvement with the signing of agreements worth more than $1 billion, following the recent amendment to the University of Canberra Act 1989 and other legislation. The achievement of this ambitious plan will provide an independent stream of funding that will help safeguard the University’s future. A leading education policy and research leaders, Dr Sara Glover, has been appointed as Director of the Mitchell Institute. Dr Glover has extensive experience working in government, higher education and research sectors across the fields of education, adolescent health, and education systems data and evaluation. She brings an international network of education leaders to Mitchell, and an understanding of how Australian education systems can change and adapt to meet the needs of young people in a globalised society and economy. Under Dr Glover’s leadership, the Mitchell Institute will have a strong focus on addressing gaps in educational opportunity in Australia with particular emphasis on how our education and training systems need to change to equip all young people to live healthy and productive lives. Australia needs deliberate policies and strategies that are bold and focused on the future, not the past. We need an education system that supports all young people to be creative, resilient and capable. Dr Glover joined the Mitchell Institute in 2013 to lead its education policy program. She began her career in education as a teacher, before moving into curriculum development. She has held a number of executive roles within the Victorian Department of Education and Training and was the Director of Education and Training and a principal researcher at the Centre for Adolescent Health at the Royal Children’s Hospital, University of Melbourne for eight years. 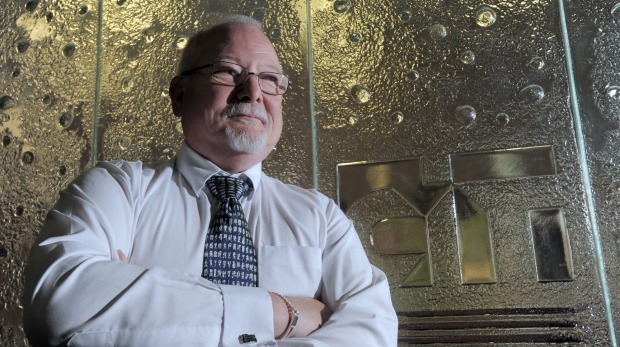 Canberra Institute of Technology’s former chief executive Adrian Marron died on 4 July after a long battle with leukaemia. ACT Education Minister Joy Burch described Mr Marron as a fierce advocate for CIT and “a true servant of the public good”. Adrian understood the power for education to change lives for the better. He understood well that to provide a person an education would make a difference. 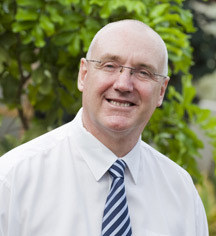 Mr Marron began work with CIT in May 2010, after serving as the managing director of TAFE SA’s Adelaide North institute. Professor Brian Schmidt AC has been appointed the next Vice-Chancellor of The Australian National University (ANU). He will take up the position on 1 January 2016 at the conclusion of the term of current Vice-Chancellor Professor Ian Young AO. ANU chancellor Gareth Evans AC said the University Council is delighted the renowned astrophysicist and winner of the 2011 Nobel Prize for Physics had accepted the offer to become the University’s 12th Vice-Chancellor. Brian Schmidt is superbly placed to deliver on the ambition of ANU founders – to permanently secure our position among the great universities of the world, and as a crucial contributor to the nation. We had a stellar field of international and Australian candidates, and have chosen an inspirational leader. Brian’s vision, vitality, global stature and communication skills are going to take our national university to places it has never been before. Professor Evans praised the work done by current vice-chancellor Professor Young to modernise the operation and strengthen the reputation of the University over the past five years. The Australian Maritime College at the University of Tasmania plans to significantly increase its VET student numbers by developing new courses to meet changing industry demands, improving flexible delivery options and expanding into key international markets, with the appointment of Peter Whitely as Vocational Education and Training and Deputy Director, National Centre for Ports and Shipping. Associate Professor Whitley has held senior executive positions across both the university and TAFE sectors and joins AMC from the Central Gippsland Institute of TAFE. He has extensive international experience rolling out vocational training programs in Malaysia, Brunei, Indonesia and sub-Sahara Africa. “AMC’s history is strongly linked to shipboard training, and while that will continue to be a focus we must also look at expanding to meet the needs of the entire industry,” Associate Professor Whitley said. He sees partnering with companies to tailor programs that meet their specific training requirements as central to growth in the University’s VET sector. In a competitive marketplace, students and their employers are looking for flexible options that include access to online lectures and resources, on-site course delivery and periods of work integrated learning. Emeritus Professor Steven Schwartz AM has been appointed as the new Chair of the Australian Curriculum, Assessment and Reporting Authority (ACARA) Board. Professor Schwartz said he expects ACARA to continue pursuing a rebalancing of the national curriculum in line with recommendations made to the government by education researcher Kevin Donnelly and business academic Ken Wiltshire. This should focus on streamlining subjects and prioritising the basics, such as literacy and numeracy in the early years of schooling, he said. We don’t want to have such a constipated curriculum that there is no room for schools to put their own touches on what students are learning. We don’t want to fill it up to the point where there is no room for anything else. Federation University Emeritus Professor Martin Westbrooke has been awarded an OAM (Medal of the Order of Australia) in this year’s Queen’s Birthday Honours List. peers. Federation University Emeritus Professor Martin Westbrooke has been awarded an OAM (Medal of the Order of Australia) in this year’s Queen’s Birthday Honours List. The award to Professor Westbrooke is for “service to ecology and to environmental management”. “It is an honour to receive this award for my career and work in ecology and environmental management,” Professor Westbrooke said. “I have been fortunate to have the opportunity to combine my two passions, teaching and the environment in what has been a rewarding career, predominantly at Federation University Australia and its antecedent institutions. “It is a great reward to see the many Environmental Management graduates from Ballarat making a major contribution across all states of Australia. He said that a career highlight has been the establishment of Nanya Station as a nationally significant nature reserve and a key component of the National Reserve System. 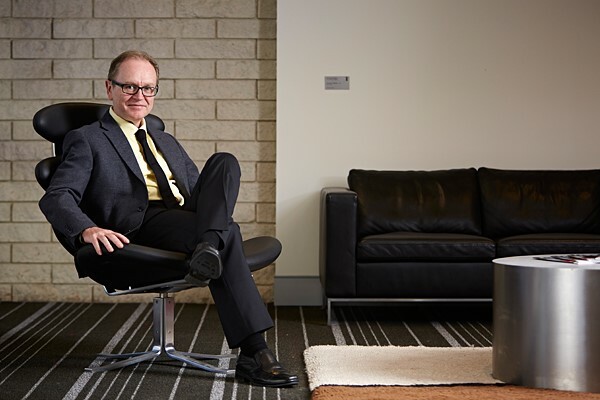 Vice-chancellor of the Australian National University and current chair of the Group of Eight universities, Professor Ian Young, will step down from the position when his current term expires next year and return to research and teaching. Professor Young has remained research active throughout his time in senior executive roles, with his interests focussed on the understanding of marine environmental extremes, which he describes as a particularly important area in a time of significant climate change. As chairman of the Group of Eight, Professor Young has been a vocal proponent of fee deregulation. Lynne Kosky, a senior minister in the Bracks and Brumby Labor governments in Victoria, has died after a long illness. While her later ministerial career was clouded by problems in the public transport system, which she inherited on becoming transport minister (2006-2010), Lynne was a visionary education minister (2002-2006), who initiated fundamental reform of Victoria’s education system – in schools education, vocational education and training and higher education. Lynne introduced the Victorian Certificate of Vocational Learning (2002) as a hands-on alternative to the Victorian Certificate of Education for Year 11 and 12 students, offering practical work-related experience and learning. This was an initiative of which she was immensely – and rightly – proud. In 2003, Lynne published the Blueprint for Government Schools, setting a far reaching reform program for public schools (and, incidentally, private schools) which culminated, during her tenure as minister, in the Victorian Essential Learning Standards (2005), a needs-based budget system for schools and a massive $1.8 billion infrastructure renewal program. Her Maintaining the Skills Advantage policy statement in 2006 resulted in an investment of $241 million to fund a range of initiatives to encourage more young Victorians to take up and complete a trade, including a $500 ‘Trades Bonus’ to combat high first year drop out rates, improved accommodation allowances for rural apprentices and trainees and the establishment of Technical Education Centres at TAFE institutes to provide further learning pathways for young people as an alternative to schools. Lynne initiated a review of Victoria’s eight university acts, which culminated in their complete remaking in 2010. The legislative highlight of her career was the Education and Training Reform Act 2006. In her Second Reading Speech for the bill (9 February 2006), Lynne observed that many of the provisions of then Education Act had remained unchanged since its introduction in 1872. 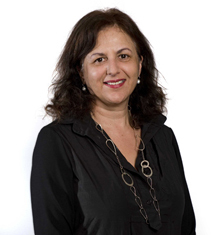 7 November 2014 | The Australian Technology Network of Universities (ATN) has appointed Renee Hindmarsh as its new executive director, succeeding Vicki Thomson who has taken up the executive director position at the Group of 8. She commenced on 3 November. 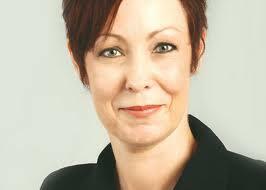 Hindmarsh was previously a director of Barton Deakin Public Relations in Melbourne. She has worked as a chief of staff, senior adviser and media adviser to successive Liberal ministers. A graduate of Monash University, she has a very strong knowledge of the Australian higher education sector. The ATN says that Hindamarsh has “a superb blend of the attributes the ATN requires in this critical leadership position – advocacy, media and communication experience, public policy skills and a close knowledge of the workings of our political institutions.“…..[ MORE ]…. 27 October 2014 | Murdoch University vice-chancellor Richard Higgott, under investigation by WA’s anti-corruption watchdog, has resigned from the position. Professor Richard Higgott was last month suspended on full pay after he was reported to the Corruption and Crime Commission (CCC) by the university.It did not detail the nature of Professor Higgott’s alleged misdemeanours. The CCC said at the time it had been monitoring a university investigation into the academic’s conduct and had received a provisional report from Murdoch detailing new allegations. 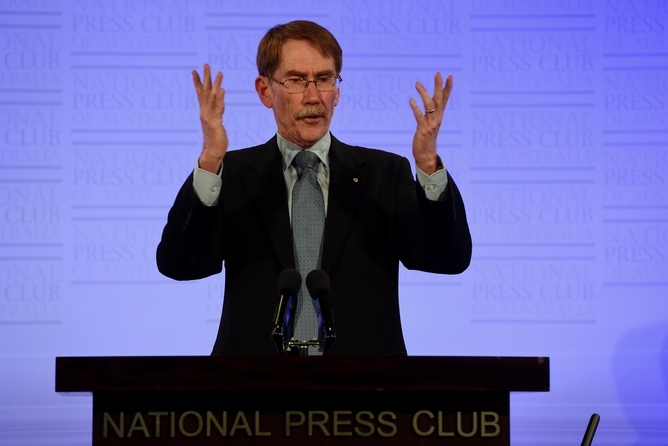 Murdoch Chancellor David Flanagan said the Senate had accepted Higgott’s resignation. He said Andrew Taggart had been appointed Acting Vice Chancellor in the wake of Professor Higgott’s resignation, effective immediately……. [ MORE ]…. 21 October 2014 | Gough Whitlam, the 21st prime minister of Australia, has died. 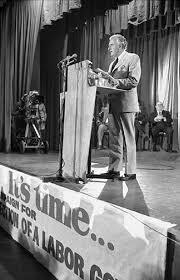 This item was first posted on 13 November 2012 to mark the fortieth anniversary of his “It’s time” campaign speech. The decision we will make for our country on 2 December is a choice between the past and the future, between the habits and fears of the past, and the demands and opportunities of the future. There are moments in history when the whole fate and future of nations can be decided by a single decision. For Australia, this is such a time. It’s time for a new team, a new program, a new drive for equality of opportunities: it’s time to create new opportunities for Australians, time for a new vision of what we can achieve in this generation for our nation and the region in which we live. It’s time for a new government – a Labor Government. Whitlam outlined a comprehensive program of reform, touching every area of Australian life and society – income support, national and regional development, healthcare, education, what was then called Aboriginal affairs and on and on…. 23 September 2014 | The National Centre for Vocational Education Research (NCVER) has announced the appointment of Dr Craig Fowler as its new managing director, to succeed Rod Camm who is heading off to the Australian Council for Private Education. He will assume the post in late October. In announcing the appointment, the chair of NCVER, Professor Peter Shergold, said that Dr Fowler has worked in both the private and public sectors, including at very senior levels of the South Australian public service for the last 11 years. He said Dr Fowler possesses an “exceptional depth of understanding of vocational education and training and the national training system, and a deep sense of the importance of skills acquisition to Australia’s future prosperity”. The Group of Eight (Go8) has appointed Ms Vicki Thomson as its Executive Director to succeed Mike Gallagher, who is stepping down after seven years in the job. The Group of Eight (Go8) has appointed Ms Vicki Thomson as its Executive Director to succeed Mike Gallagher, who is stepping down after seven years in the job.Ms Thomson comes to the role after more than a decade leading the Australian Technology Network of Universities. Ms Thomson is also a member of the Australia China Council Board and the New Colombo Plan Reference Group. The Go8 Chair Ian Young AO, says that the appointment of Ms Thomson will further strengthen collaboration on all fronts between Australia’s leading universities and build on current international partnerships, including those in Latin America and in China with the C9 group of universities. The chair of the ATN Peter Coaldrake thanked Ms Thomson for her “wonderful contribution” over the past decade during which, he said, the ATN has taken enormous steps forward, and her commitment to advancing Australia’s university-industry nexus. Professor Young noted that in his time as Executive Director, Mike Gallagher had been a leading spokesman for the sector and had contributed to many policy debates, ensuring that they have been informed by policy principle and that reforms have been subject to evaluation and analysis. Martin Bean, currently the vice-chancellor of the UK’s Open University, has been appointed to succeed Margaret Gardner as vice-chancellor RMIT University. A global leader in managing the intersection between education and technology, Martin Bean has placed The Open University in a very strong position, maintaining its top-five position for student satisfaction in the UK’s National Student Survey, with scores of more than 90%, while continuing to consolidate its world- class research profile. Before joining The Open University, Mr Bean was General Manager Worldwide Education Products Group at Microsoft, following executive leadership roles at Novell and other IT companies integrating technology and learning systems. 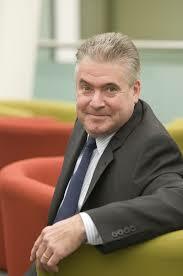 Swinburne University of Technology has appointed Mr Graham Goldsmith as its new Chancellor, succeeding Bill Scales. Graham Goldsmith is a respected figure in the Australian financial services industry and an experienced company director and community leader with a deep commitment to education. Mr Goldsmith will take up the office of Chancellor after Bill Scales AO concludes almost 9 years of outstanding leadership of Swinburne’s Council in August 2014. Swinburne’s Vice-Chancellor, Professor Linda Kristjanson, paid tribute to the enormously valuable contribution made by Bill Scales and welcomed the incoming Chancellor. Bill Scales has overseen a period of tremendous growth, innovation and progress at Swinburne. The contribution he has made to the development of Swinburne as a world-class university cannot be understated. Under his stewardship, student numbers have grown significantly and our research achievements have seen Swinburne promoted into the top 400 universities in the world. The University also established Swinburne Online as a joint venture with Seek, which has significantly expanded the reach of Swinburne’s programs beyond Victoria. 4 July 2014 | Claire Field, the respected chief executive of the Australian Council for Private Education and Training (ACPET), has resigned. ACPET said Ms Field is leaving to pursue “new challenges” after four years in the job. Company secretary Larry Davies is now acting CEO pending the appointment of a permanent successor. The suddenness of the departure caught the sector by surprise, but ACPET chairman Martin Cass said it was entirely her decision to leave to pursue other opportunities and there was nothing to read into her departure. He said Ms Field has made a significant contribution to the private education and training sector during her four years as CEO of ACPET. Ms Field has been a strong advocate for ACPET members during a period of substantial change in both the higher education and vocational education and training sectors. 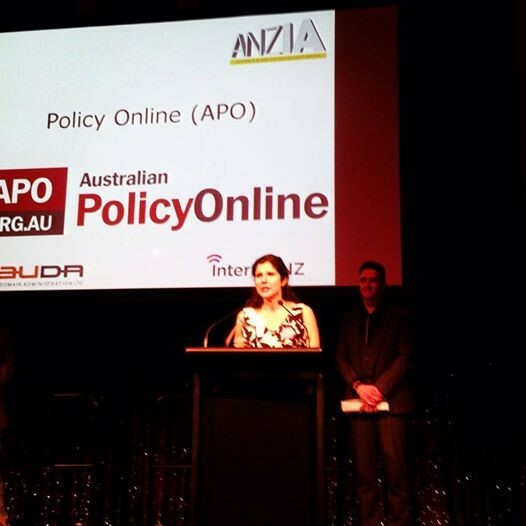 She has also been instrumental in strengthening ACPET’s focus on quality and lifting membership standards…..[ MORE ]…. Professor Jane den Hollander has been reappointed as Deakin University’s Vice-Chancellor and President for a further five years from 1 July 2014. 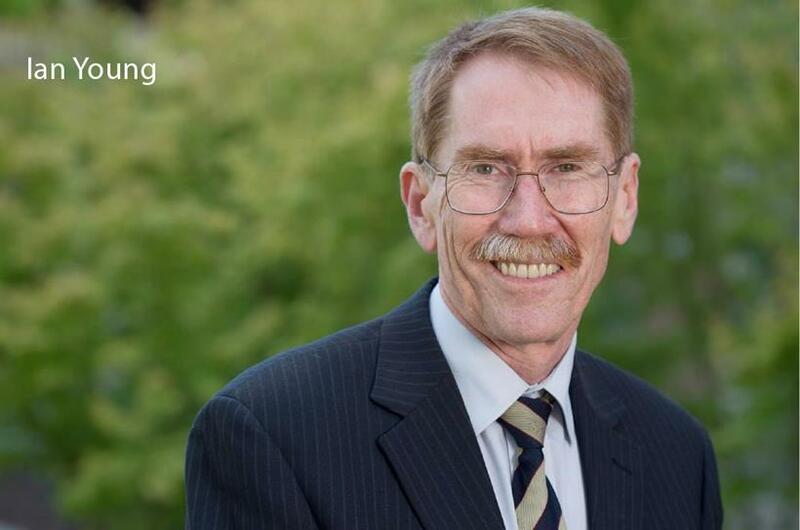 3 July 2014 | The Chancellor of Deakin University, David Morgan said that Professor den Hollander “has provided inspirational and highly effective leadership to Deakin University at a time of significant change to the tertiary sector. 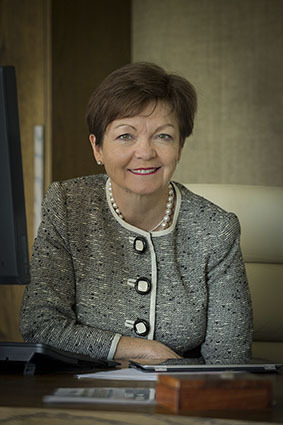 During her stewardship, Deakin’s reputation and standing in the community has significantly strengthened. Deakin has been the highest ranked Victorian university each year for overall student learning satisfaction and student numbers have grown 26 per cent to a projected 50,000 by the end of 2014. 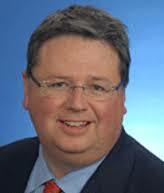 3 July 2014 | Sam Henson has been announced as Federation University Australia’s Head of Ballarat Campuses. Formerly Associate Dean for International and Partnerships, Dr Henson will take up the new position on 1 July. The position will entail broad oversight of the campuses as well as a role in building deep and lasting partnerships with Ballarat community, government and industry stakeholders. Edith Cowan University has appointed Professor Steve Chapman as its next Vice-Chancellor, succeeding Kerry Cox. 24 June 2014 | Professor Chapman is the Principal and Vice-Chancellor of Heriot-Watt University in Scotland, a position he has held since 2009. During that time he led significant improvements to the student experience, with the University rising from 108th in the 2009 UK National Student Survey to fifth (in 2012). Heriot-Watt was also named by The Sunday Times newspaper as the Best Scottish University for an unprecedented two consecutive years 2011-12 and 2012-13. I am immensely impressed by what I see at Edith Cowan University. It is an institution with excellent values, a clear identity and a strong vision for the future. Professor Chapman completed his undergraduate and PhD studies at the University of Newcastle in northern England. 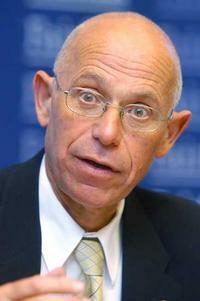 he then undertook postdoctoral studies at MIT on a NATO research fellowship from 1983-85. 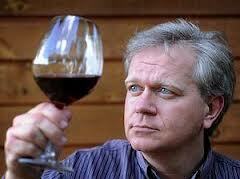 Professor Chapman will commence his five year contract with ECU in early 2015. 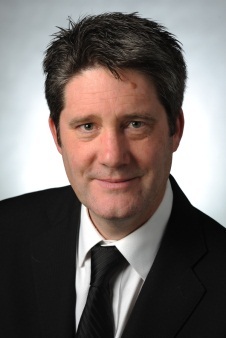 13 June 2014 | The University of Tasmania is bracing for extremely challenging times, as it reappoints vice–chancellor Peter Rathjen for a further 3 year term. Professor Rathjen said the Federal Government’s move to deregulate universities would make life extra difficult for UTAS, but he said the university would tackle deregulation from a position of strength. We’ve got a strong base, the research is going well. There are a couple more really big announcements coming. But, more important than that, we’ve got a strong relationship with our student body …and a good relationship with the community, including politicians. Prof Rathjen said the university’s position was unique in that to serve Tasmanians it needed to keep course fees low which, under deregulation, could force severe cutbacks. 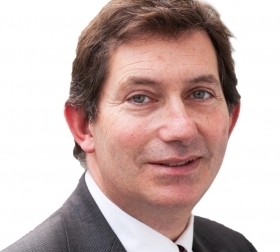 6 June 2014 | NSW chancellor David Gonski has announced the appointment of eminent UK academic, Professor Ian Jacobs, as incoming President and Vice-Chancellor of the University. He will succeed Fred Hilmer, who is stepping down after eight years in the role. Professor Jacobs, who will take up the position on 1 February 2015, is currently Vice-President and Dean of the Faculty of Medical and Human Sciences at the University of Manchester and Director of the Manchester Academic Health Science (Centre MAHSC). Professor Jacobs is a leading researcher in the area of women’s health and cancer who in the last decade has moved into increasingly senior leadership positions. 6 June 2014 | Mr Norman Gray AM has been appointed as the new Chief Executive Officer of Box Hill Institute and the Centre for Adult Education. He will take up the position on 14 July. Mr Gray is currently the Chief Operating Officer and Executive Director of Network Operations of Public Transport Victoria, a State Statutory Authority. In this role he is accountable for the business relationship with, and performance of, all contracted public transport operators in Victoria. He joined Public Transport Victoria, after resigning from the role of Chief Executive Officer and Managing Director of Thales Australia. 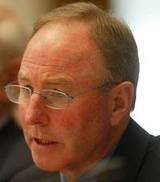 TEQSA leaders on gardening leave? The two founding leaders of the Tertiary Education Quality and Standards Agency (TEQSA) have gone on extended leave with no official word on their return. TEQSA chief commissioner Carol Nicoll and Brisbane-based commissioner Ian Hawke, who served as interim chief executive of the new national regulator, are on leave as the agency confronts an agenda of radical reform and a federal austerity budget. 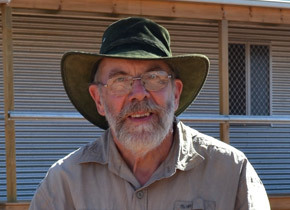 Noonan has over 25 years’ experience working as a policy adviser, senior executive and consultant to federal and state governments, universities, higher education providers, TAFE institutes and training systems and was a member of the Expert Panel for the Review of Australian Higher Education (Bradley Review) in 2008. Noonan will lead the Mitchell Institute’s work on policy challenges and options that support the creation of tertiary education pathways for young people to succeed in the labour market. 10 March 2014 | Former Telstra director and current chancellor of Swinburne university Bill Scales will lead the sixth National Broadband Network-related audit since the Coalition government came to power. Scales brings a wealth of experience to the role, having has been chairman of the Industry Commission (now the Productivity Commission), secretary of Victoria’s Department of Premier and Cabinet and involved with other high-profile inquiries including the Bradley review of higher education and the Gonski review of schools funding…..[ MORE ]…. 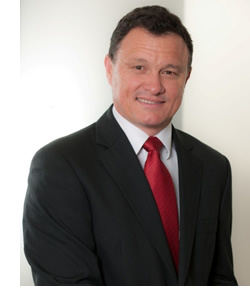 7 March 2014 | NMIT has appointed Ron Gauci, former CEO of National Rugby League Club, the Melbourne Storm, as its “interim” CEO. 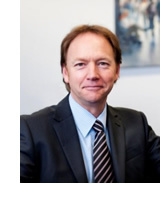 Announcing the appointment NMIT chair John Gibbins described Gauci as a highly respected executive who demonstrates extensive experience in leading change in a number of different business environments…..[ MORE ]…. 6 March 2014 | The often combative Fred Hilmer has announced via a video address to staff that he will retire retire as vice-chancellor of the University of NSW at the end of the year. 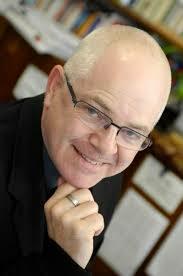 He told staff that the university is in a strong position “to push hard on new initiatives”…. [MORE ]…. 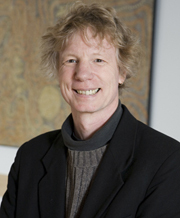 4 December 2013 | Hamish Coates has been appointed to the Chair of Higher Education at The University of Melbourne’s influential Centre for the Study of Higher Education, succeeding Simon Marginson. A specialist in assessment and evaluation, Coates focuses on improving the quality and productivity of learning, academic work and leadership. Coates was Founding Director of Higher Education Research the Australian Council for Educational Research (ACER) from 2006 to 2013. Between 2010 and 2013 Coates was a Program Director at the LH Martin Institute for Tertiary Leadership and Management. 2 December 2013 | John Maddock, chief executive of Box Hill Institute in Melbourne has announced he will step down from the role at the conclusion of his contract on 7 December. After 14 years as chief executive, Maddock informed staff on 29 November that, with senior executive roles needing to be filled, and the Institute’s new five year Plan soon to begin, it was time to “rejuvenate” and he had decided to step down. The Group of Eight (Go8) Board of Directors have elected Professor Ian Young AO, vice-chancellor and president of The Australian National University (ANU), to serve as its next chair from January 2014. Young will replace Professor Fred Hilmer AO, Vice-Chancellor and President of the University of New South Wales, who has chaired the Go8 over the last two years. 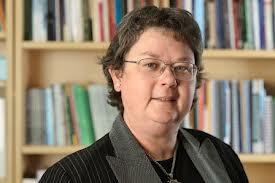 Young was appointed Vice-Chancellor of ANU in March 2011. 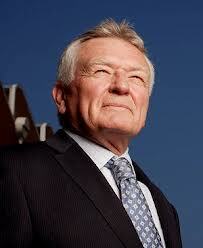 He was previously Vice-Chancellor of Swinburne University of Technology from 2003 to 2011. 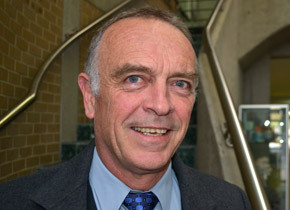 He was Executive Dean of the Faculty of Engineering, Computer and Mathematical Sciences at the University of Adelaide from 1999 to 2003. 1 November 2013 | For his contribution to making sense of genomics and related technologies, the head of Bioinformatics at the Walter and Eliza Hall Institute of Medical Research, Emeritus Professor Terry Speed has been awarded the 2013 Prime Minister’s Prize for Science. 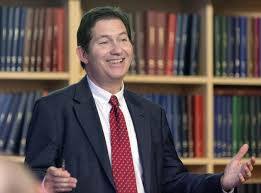 A mathematician and statistician, he has written elegant theoretical papers that almost no-one reads. he has also testified in court, helped farmers and diamond miners, and given biologists statistical tools to help them cope with the genetic revolution…..[ READ MORE ]…. 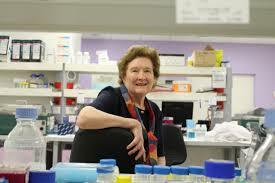 1 November 2013 | The 2013 Florey Medal for significant achievements in biomedical science has been awarded to Professor Ruth Bishop for her work on understanding the rotavirus and the creation of a vaccine. This vaccine has saved countless children and around the world from the debilitating and possibly deadly effects of gastronenteritis at an early age. Ruth and her team are now working to develop a vaccine that can be administered to babies to help further protect children in developing countries…..[ READ MORE]…. 1 November 2013 | After 101 years of operation NMIT (Northern Metropolitan Institute of TAFE) is celebrating its one millionth enrolment: Gina Fasanella who has enrolled in NMIT’s Diploma of Business at the Preston campus. 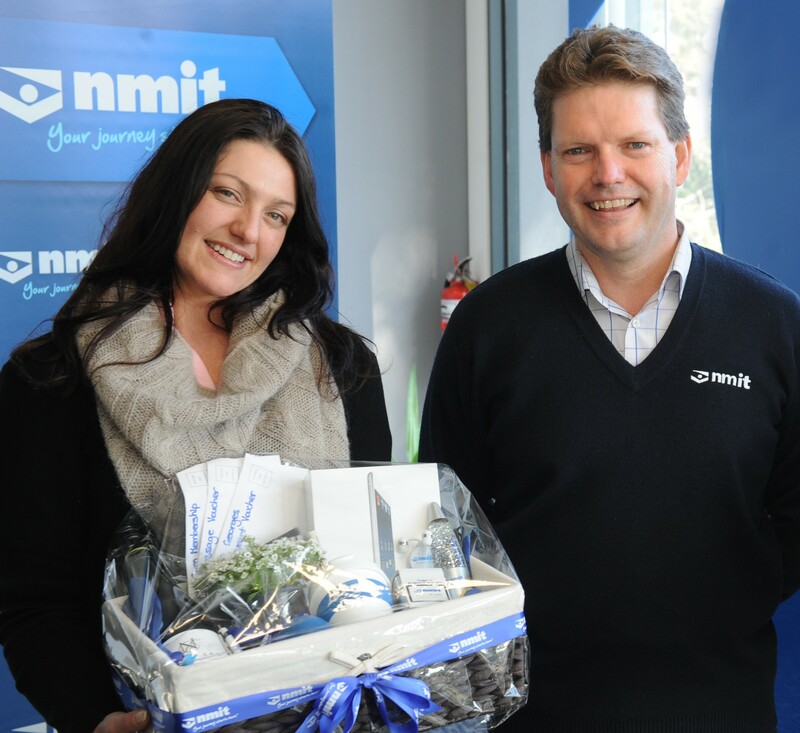 After completing the short course “How to Start a Successful Business” at NMIT, Gina decided to enrol at NMIT full-time.…. [ READ MORE]…. 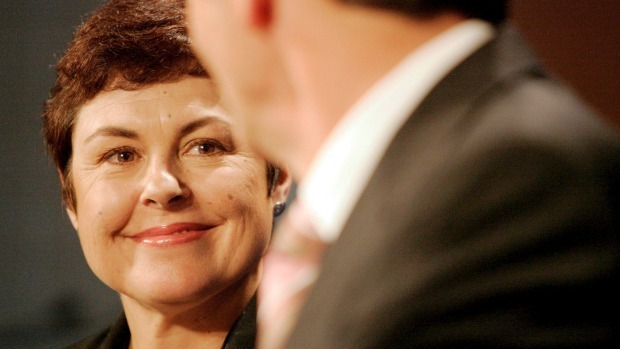 20 September 2013 | Maria Simpson has resigned after nearly two years as the chief executive of Bendigo TAFE, saying she plans to retire and spend time with her family. She says there are still significant challenges facing the institution. Last year, nearly 100 jobs were lost from the TAFE, courses were cut and the Kyneton campus was closed. Ms Simpson says the shift to a more commercial focus still has some way to go and will be tough for the Bendigo TAFE board and her successor to manage. I think the whole process of change will be one that has to occur relatively rapidly and will also be very challenging, and I don’t think that that will come to an end quickly. The planning and the implementation of plans once decided will be the challenges that they face. We had probably been slow to make the shift to the commercial orientation that was required and therefore we probably felt the change a lot harder than many because we had to run very hard to catch up. It is always very difficult to make decisions about people’s lives. 16 September 2013 | As widely expected, Christopher Pyne, the Liberals’ education spokesperson in opposition, is to be appointed education minister in the incoming Coalition government and presumably will take carriage for higher education as well as schools education. Sussan Ley is to be appointed the assistant minister for education and Scott Ryan is to be appointed parliamentary secretary to Pyne. Leesa Wheelahan is leaving the University of Melbourne at the end of the year to take up the William G Davis Chair of Community College Leadership at the University of Toronto. 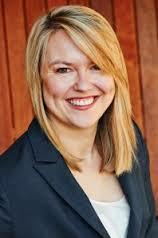 At the University of Toronto, Leesa will join the Ontario Institute for Studies in Education. OISE was established in 1965 to promote educational research and graduate studies. In 1996 OISE merged with the University of Toronto’s Faculty of Education which was established in 1906. Leesa will be accompanied by her partner Gavin Moodie who will maintain adjunct positions with the University of Queensland and his current employer, RMIT. Gavin will continue his public commentary (most notably his regular comment pieces in The Australian) and his research, which currently is investigating the implications of MOOCs by examining the effects on higher education of an earlier information revolution: Gutenberg’s invention of printing in 1450. The University of Western Sydney’s has announced the appointment of Professor Barney Glover as it’s new Vice-Chancellor and President. Professor Glover, currently Vice-Chancellor of Charles Darwin University (CDU) in the Northern Territory, will formally commence at UWS on 1 January 2014 on the retirement of Professor Janice Reid. Professor Reid has been at the helm of one of Australia’s largest and fastest growing universities for almost sixteen years. A graduate of the University of Melbourne with a Diploma of Education, a Master of Science and PhD in Mathematics, Professor Glover is a noted and internationally recognised mathematician with expertise in applied mathematics and mathematics education. Kangan Institute in outer Melbourne has announced the appointment of Grant Sutherland as its new chief executive officer. 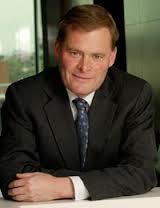 Mr Sutherland will succeed Richard Turnbull who has held the role of interim CEO since February. Mr Sutherland brings with him over 14 years of experience in the VET sector and is currently the CEO at The Gordon Institute. Previously, Grant had held the position of The Gordon’s deputy CEO and executive director for business development. 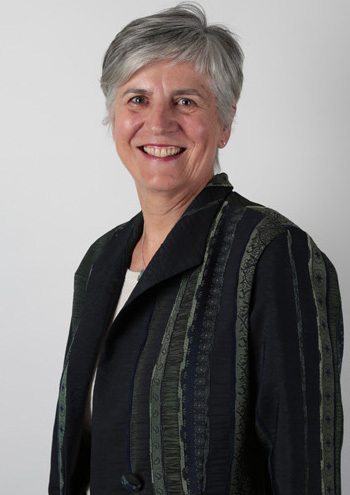 Ann Doolette retired in July 2013 as inaugural Executive Director of the Office of the AQF Council. Ms Doolette assumed the position in May 2008 with the establishment of the AQF Council in Adelaide, specifically to provide leadership in strengthening the AQF and enhance its standing with education, industry and community stakeholders. During her term, the AQF underwent its first major revision since its establishment in1995. Her influence was international as well as national. With the AQF seen as the leading qualification framework globally, and as an acknowledged authority, Ms Doolette provided expert advice to a range of countries seeking advice on qualifications frameworks including USA and Hong Kong. 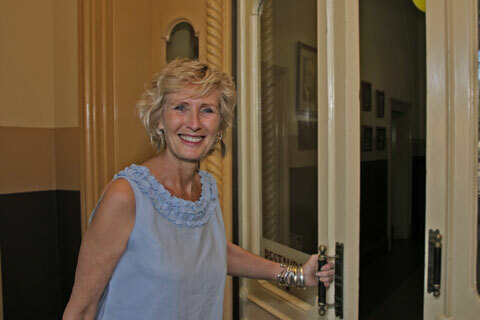 Ms Doolette’s departure marks the close of a distinguished career in the tertiary sector which included lecturing in the management discipline, developing curriculum and leading tertiary education quality assurance and regulation in South Australia. The Board of Holmesglen Institute has announced the appointment of Mary Faraone as the Institute’s new Chief Executive Officer (CEO) – and only the second in its history. Holmesglen Chair Peter Lewinsky said Ms Faraone brings extensive sector experience and skills as well as great potential to the role. As the Institute’s current Executive Director Educational Development & Design), she also brings stability to the Institute as it enters a new phase in its history, Mr Lewinsky said. Mary is a proven leader who has already demonstrated a strong passion for the institute and the educational welfare of its students. During her time as Executive Director – Educational Development, Ms Faraone was instrumental in leading the Institute’s teaching and learning, the introduction of higher education and securing a number of significant national and international commercial projects. Ms Faraone said she plans to build on the outstanding legacy of retiring CEO, Bruce Mackenzie, and lead the Institute in the next phase of its exciting journey as a relevant and contemporary tertiary provider. Leadership of an educational Institution is both challenging and exciting in a commercially driven contestable market context…As CEO I will ensure that the organisation continues to survive and thrive, and where key stakeholders feel that they are key components of the organisation’s continued success. TAFE institutions are an incredible community asset, with the power to transform people’s lives. The board has chosen the best person to continue Holmesglen’s unrivalled leadership in the Australian TAFE sector. Dr Tim Soutphommasane has been appointed as Race Discrimination Commissioner. He is currently University of Sydney Postdoctoral Fellow at the Institute for Democracy and Human Rights in the University of Sydney, and an opinion columnist with Fairfax Media. He is also presenter of Mongrel Nation on ABC Radio National. Dr Soutphommasane has contributed to national and international debates about multiculturalism and national identity through his numerous books in political theory, and through his regular media commentary in print, television and radio. His research has focused on the concepts of citizenship and identity, as well the development of multicultural policy in Australia. He holds a doctorate from the University of Oxford. He is also a board member of the National Australia Day Council, a member of the Australian Multicultural Council and a fellow of Per Capita and St James Ethics Centre. Dr Soutphommasane previously worked as a speechwriter to Bob Carr when he was NSW premier. 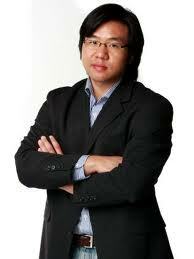 Dr Soutphommasane has been appointed for a period of five years and will start in the position on 20 August 2013. 26 July 2013 | Jodi Schmidt has been appointed as the first Chief Executive Officer of the newly created TAFE Queensland statutory body, which was created in legislation on 1 July as a parent body to drive the strategic direction for all TAFE delivery in Queensland. In the role of CEO, Ms Schmidt will continue to lead the reform of TAFE in Queensland commenced in her former role of Deputy Director-General, Training and Employment in the Department of Education, Training and Employment. She joined the VET sector in late 2005 as a Director at Southbank Institute of Technology, Queensland’s largest public training provider. During her tenure, Ms Schmidt led the development and implementation of the new statutory institute model for Southbank Institute to provide a greater commercial focus and was integral in the Institute becoming a specialist in the delivery of higher level certificate and diploma programs. Since 2010, Ms Schmidt has held various roles within the Department of Education, Training and Employment leading the implementation of initiatives to align the training and higher education sectors and helped shaped the current reform of the state’s public provider through her work with the Queensland Skills and Training Taskforce. 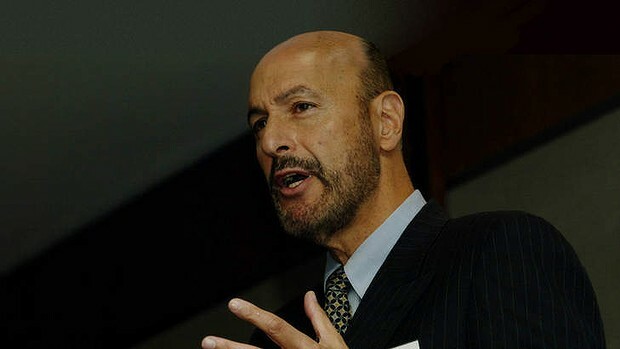 19 July 2013 | Tom Karmel will step down in mid-August after more than 10 years as managing director of the National Centre for Vocational Education Research. NCVER chair Peter Shergold has announced his replacement as former education bureaucrat and Skills Queensland CEO Rod Camm. 12 July 2013 | After nearly five years as the 8th vice-chancellor of Monash University, Ed Byrne, has accepted appointment as principal and president of King’s College, London (KCL) and will step down as vice-chancellor of Monash at the end of next year. Byrne said that the opportunity to return to London presented him with a difficult decision, but for both personal and professional reasons it was an opportunity he has decided to accept. Monash University Chancellor Dr Alan Finkel said that under Professor Byrne’s leadership, Monash had grown and would continue to be a significantly stronger institution. Included in the list of achievements, is the strengthening of our academy, and the refinement of our campus structure; strategic expansion of the Monash international footprint through core partnerships with the University of Warwick in the UK, and in China; establishment and appointment to the role of Provost, which provided the core to fundamental restructuring of the University; and development of Campus Master Plans for our major Australian campuses at Clayton and Caulfield. Simon Marginson, a highly regarded professor of higher education internationally, is to take up a position as professor of international higher education at the Institute of Education, University of London. He is currently the head of the Centre for the Study of Higher Education at the University of Melbournejoint editor-in-chief of Higher Education, the principal world scholarly journal in higher education studies, and is a member of 15 other journal boards. Marinson currently serves on the editorial board of the Times Higher Education and on the advisory committee of the Academic Ranking of World Universities at Shanghai Jiao Tong University Graduate School of Education in China.